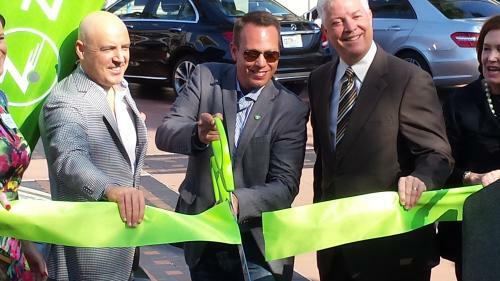 With the snip of a ribbon, ZipCar recently joined the mix of Tampa Bay&apos;s fun and funky transportation options. At the same event, Tampa&apos;s Downtown Partnership unveiled its new free electric shuttle service that will be an on-call way to move point-to-point throughout downtown. Each six-seat shuttle comes with a driver. The rides will be available starting in July. ZipCar Tampa joins Coast Bike Share as a convenient, pay-and-you go option for moving around downtown&apos;s fast-paced urban core. Need to get from your downtown hotel to Seminole Heights for dinner? Rent a ZipCar for the quick trip. Chances are you&apos;ll find one either right outside your hotel or a short walk away. Just sign up before you need the use it (and include your driver&apos;s license info) so the company can vet you for safety -- you&apos;ll be riding on their insurance, after all. And no worries about filling it up before you return it: They pay for the gas, too. Tampa Bay joins Boston, Chicago, and Miami on the list of ZipCar cities.